Wolfmother have announced that they are due to play at the MMRBQ festival on 21st May. 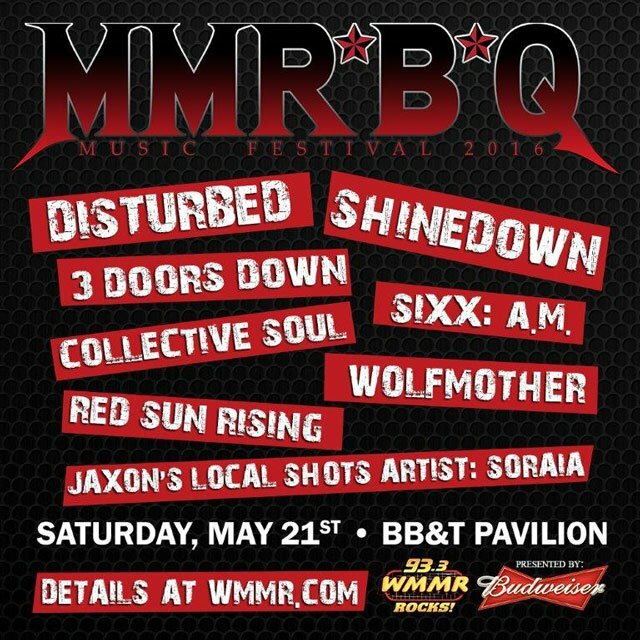 The event, which is hosted by Philadelphia, Pennsylvania-based rock radio station WMMR at the BB&T Pavilion in Camden, New Jersey, will this year also feature bands such as Disturbed, Shinedown, 3 Doors Down and Sixx:A.M. The show takes place a month and a half after the end of the current batch of North American tour dates, suggesting the band may extend their stay in the US and Canada. MMRBQ is the third festival appearance announced for the band, joining shows at Rock on the Range in Columbus, Ohio and Rock’n Derby in Schaghticoke, New York in the same week. If you are interested in going, tickets are available here.